Very informative and the discussion about future knee work very awesome. A lot of information with a plan for future positiveresults. Very informative and the discussion about future knee work very awesome. A lot of information with a plan for future positive results. Please bring your insurance card and photo ID with you to your appointment. 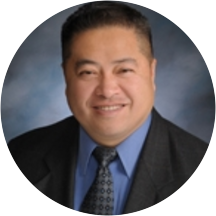 David Hoang is an experienced and qualified orthopedic surgeon serving the community of Nashua, NH. Dr. Hoang attended Ohio University, where he received his medical degree, and completed his residency at the Philadelphia College of Osteopathic Medicine. He also completed his fellowship at San Diego Sports Medicine Foundation. Dr. Hoang is a part of Granite State Orthopaedics and is board certified by the American Board of Orthopaedic Surgery and the American Osteopathic Board of Orthopedic Surgery. He is a member of the American Osteopathic Association. He is also affiliated with Southern New Hampshire Medical Center in Nashua, NH. Dr. Hoang sees patients for orthopedic consultations, as well as other common and specialized reasons. Dr. Hoang is sensitive to the uniqueness of each patient's situation and adapts his consultations and treatment options appropriately to accommodate individual needs and concerns. This was the first time I met this doctor. It would have made a difference if he had not used such technical terms OR if he had a handout regarding these terms. He rushed through the explanations, seeming to assume thatI would understand the array of terms. I have a Ph.D. in a field related to the brain and yet, I still did not gain an understanding of what he had to say. Dr. Hoang came in with a cheerful and warm smile putting me at ease. He showed me my x-rays and explained it in terms I could understand then clearly listed the options that were open to me. I left feeling comfortablewith my decision on how we would proceed with my treatment.